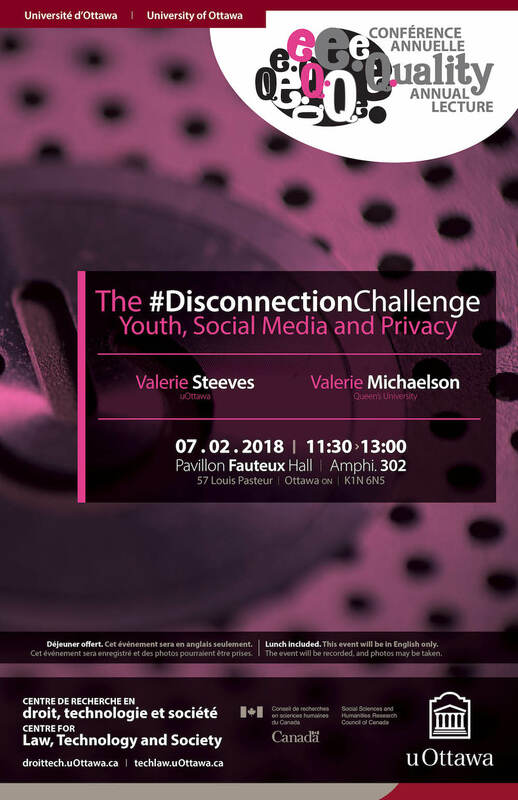 The eQuality Project’s Valerie Steeves was approached by a group of eight teens working with Queen’s researcher Valerie Michaelson who were interested in exploring the impact of their own media use on their sense of connection to themselves, to others and to nature. The group decided to go on a one-week media fast: avoiding social media platforms, Internet browsing (except for schoolwork), texting (save for their parents), and listening to music with headphones. They discovered that their social media use had blurred the lines between their public self-presentations and their private lives and relationships. After the fast, they chose to cut back on some disclosure practices (such as feeding Snapchat streaks) and were much more deliberate and thoughtful about the information they shared online. Excited by what they had learned, they decided to challenge other youth to undertake their own media fast in order to determine the effects that lower media consumption would have on them, and to see how disconnecting can have its upside. The result was the #DisconnectionChallenge. Find out more about the #DisconnectionChallenge here.